With more than 25 years in the industry and four cookbooks to her name, Jude Blereau has worked hard become one of Australia’s most respected chefs. In preparation for her visit to the Sunshine Coast celebrating the launch of her fifth book, Profile spoke to the original leader of our nation’s wholefood movement. With kale, quinoa and acai all common buzzwords in modern vernacular and every second cafe boasting raw, organic and gluten-free products, it can be hard to believe there was a time when wholefood wasn’t the ‘in’ thing. But having spent 25 years at the forefront of Australia’s wholefood movement, chef and award-winning author Jude Blereau says the struggles she faced to be taken seriously in the industry is proof of the public’s changing attitude to food. 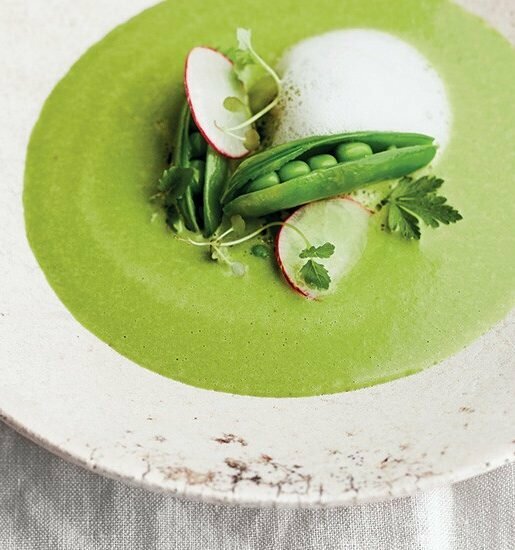 Despite the difficulties she experienced at the beginning of her career, Jude persisted, becoming one of Australia’s most prominent chefs and leading popular cooking classes right across the nation, in addition to publishing five cookbooks since 2006. 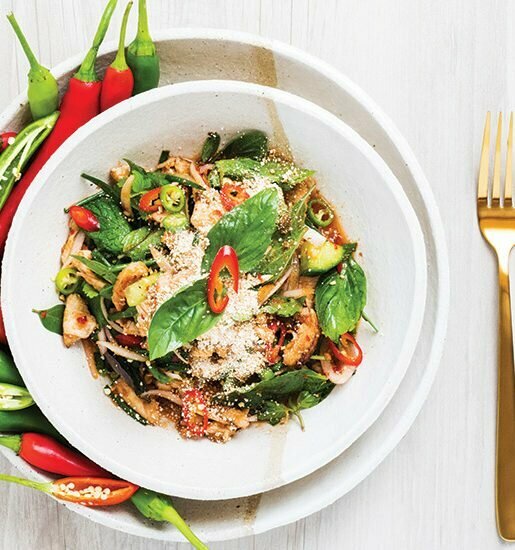 In celebration of the June release of her latest cookbook Wholefood From The Ground Up, Jude is coming to the Sunshine Coast for a local launch and to host cooking classes based off her latest recipes. I was lucky enough to get to chat to this pioneer of Australian wholefood cooking to discuss what we could expect from her visit and what it is that drives her cooking convictions. profile: When did your love affair with cooking start and what inspired it? jude: I guess you could say that I’ve been in love with cooking since I was born. I’m not unusual in that growing up in the ‘50s and ‘60s, everybody cooked because you couldn’t buy anything. My mum is of Italian descent and my grandfather’s Italian and really, food was a big deal. I remember that by age 12 I was responsible for making a meal for the family once a week. My mum, as we became a bit older, worked part time, and I think that was an era where everyone in the family had to be involved in the running of the family. Mum was a great cook – she cooked simple and seasonal vegetables and meat, really deliciously. I think that’s probably where I got it from. 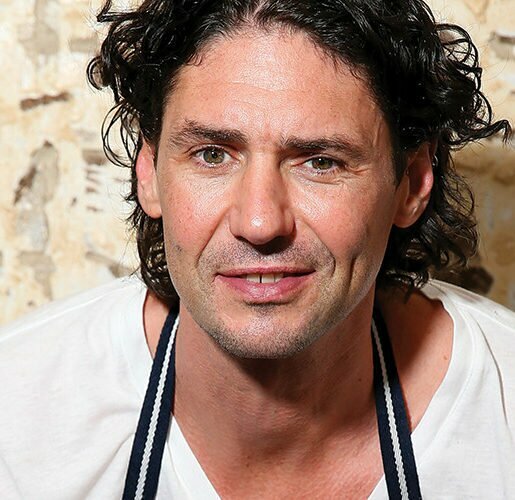 profile: You’re now one of Australia’s most respected chefs. How did you go about breaking into the industry? jude: Can I tell you that 25 years ago, it was not easy. Let me just step back a bit and say that I grew up with, I guess you could say, wholefood. It was real and honest food, and it’s very meaningful to me. I think that our fractionalisation and processing and refining of food, and the way we farm our animals, is absolutely appalling and it’s really a betrayal as well. I felt very strongly that food should be delicious but it should also nourish us. That’s basically where I’m coming from. I’m a fairly passionate and intense person and I have a really big thing about honesty, integrity and keeping things real and true, and food should be that as well. So when I got into this industry all those years ago, it was really hard. I was shunned and certainly treated with a bit of derision. But being me I just thought, ‘I’m going to do this. This is the way it has to happen,’ and I kept on. And now it’s kind of like I’m in fashion, which is rather funny but it has given me a very organic sense of self esteem. I think it’s really important for everyone to be true to who you are and if you believe in something, you should stand up for it. I believe strongly in that. I definitely didn’t break into it – I was on the outside for a long, long time. profile: Are you surprised by how popular wholefoods and wholesome cooking has become these last few years? jude: It had to happen. People had to see there was a better path. Where we are and what we were doing was quite obviously not working. It’s like the earth being round – we could say it was flat for a long time, but in the end we had to accept that it’s round. We cannot continue to eat how we’ve been eating. It’s blatantly not working. So I’m not surprised. But what I am surprised about and what concerns me greatly is the extreme fractionalisation of the wholefood/healthy food/wholesome food industry. A lot of what’s going on out there is just nuts. The raw food movement is nuts, the paleo movement is nuts; it’s fractionalised and it has no basis in reality either. I accept that the paleo man might have been eating meat, but I can tell you that he most certainly wasn’t importing coconut oil or acai berries and eating the number of nuts that we consider to be part of a paleo diet. And even though you and I might think what’s happening in whole and healthy food is great because it’s on the rise, really, that’s probably only a maximum of 10 per cent of Australia – the rest is still eating processed, junk, highly refined foods and drinking Coke, but they’re not eating anything real. profile: What do you believe has been your greatest accomplishment in the industry? jude: I get a lot of emails from people that say I’ve changed their lives and I think that has been my greatest accomplishment – that I have helped people understand and move onto a path that not only nourishes their health, but makes food a delicious part of their life. What I’d like to accomplish though, is to have people understand that sweetness is not a dirty word and sugar is not evil. That’s something I’d still like to do. profile: What do you love the most about having a career working with food? jude: It’s hard work, let me tell you. It’s not this glamorous, lovely thing that people think. It’s really, really hard yakka. But what I love about it is that I get to work on what is meaningful to me. I’m a very big believer in poet Kahlil Gibran’s saying, ‘Work is love made visible’. That’s what I love most about my work. For a lot of people, food is not only how they feed themselves and their family, but how they express their love as well. profile: When did you start your cooking classes and what inspired you to share your knowledge with others? jude: I started the classes in 1992 after returning from the US. At the root of it all, I think I’m just a Sagittarian who knows better than everybody else (laughs). I just felt that the path we were on was so appalling and I wanted to change it, so I started teaching. There was a lot of times when I did classes for very few people and fought just to have people come so I’d have cash flow. But it never discouraged me – I just felt that this had to happen. It was never a conscious decision, it was just a feeling of, ‘I know this has to happen, I know that things are going to get easier, I know this is the path that I’m meant to be on’. profile: What can your students expect from your cooking classes? jude: What I’m most interested in doing when I teach is imparting knowledge or what I call nourishing wisdoms. Basically, cooking is a skill and the more you know, the easier it becomes. It’s a bit like driving a car. When you’re working with novel foods that you’ve not used before or you don’t fully understand, like whole grains or certain vegetables or legumes or whole grain flours or less refined ingredients, and you don’t know how those ingredients behave, it’s really challenging. I’m a grassroots teacher, I’m very fundamental in the sense that I want to impart that basic information about how ingredients work, how you can use them and have successful results at home. Basically, my tagline is, ‘Nourishing wisdoms, know-how recipes’. That’s what people get in my classes and in my books. These are the nourishing wisdoms, this is what you need to know and this is why you might want to choose the facts that I’m recommending to you. You didn’t have to know those things when I was growing up, but you do now to make choices among the craziness, and then you need to know how to use those ingredients. And in my classes, what people get is an opportunity to go deeper than you can in the books; you can only say so much in a book. In class you get me wholly and we get to go much deeper into the why, the how, and you see it done, which is much different to simply reading a recipe. profile: What about your latest book – what sets it apart from your previous collection of recipes? jude: I love my other books, but this is probably the book I wanted to write when I first wrote Wholefood: Heal, Nourish, Delight but didn’t have the life experience to do so. I understand a lot more about the area and I can now place it within a more holistic framework as well. Sometimes we hear all these things – these bits of information – and they’re just out there by themselves. I can place things much more easily in context and in framework now, so they’re much easier for people to use and handle in everyday life. I feel like I get to see the whole picture now – I’m still learning, don’t get me wrong, but I see more of the picture now. profile: What is your advice for people who might be wanting to get into the wholefoods lifestyle, but are concerned about cost, time or flavour? jude: What I say to people is that if you want to be all you can be – if you want to have less mood swings, be happier, fight off bugs, live your life – then you are going to need both the physical fuel and nutrients, and you’re going to need the spiritual tools of deliciousness and joy and love. In the end, the first thing we do for survival is eat, and that directly impacts what you’re able to do in your life and how you function. There will always be issues like time and cost and so on, but there are lots of ways around that. Not in the least of which being that when you are cooking with ingredients you don’t truly understand, it takes a massive amount of time, which is why I’m so strong on classes – because you get to learn how ingredients behave. This path is not a quick path. It is a one-to-five-year path. It might take you one year just to work out where to shop and reduce your food costs, but you do it one step at a time. You’re not going to be perfect, but just do the best you can each day. profile: What are your top three tips for getting the best out of wholesome cooking? jude: Use seasonal fruit and vegetables. If you’re using stuff that’s out of season, you’ll want to have preserved it yourself. But use what’s in season where you live – it’s always going to be the freshest, and freshest results in the best food, best flavour and best life force. Also, form a relationship with the person who grows your food – not who sells it. And finally, I’m a big supporter of organic and biodynamic produce. It’s the easiest way of cooking something as it saves time and produces the best flavour. I’ve been cooking for 25 years and I can tell you that using organic or biodynamic ingredients add such a different depth of flavour. I can just throw things in a pot and I know at the end it’s going to be pretty much perfect and I’m not going to have to muck around buffing and shining it. Jude will be appearing at her Sunshine Coast book launch at CK Coffee Bar & Wholefoods from 10am on 22 July, where for $25 guests can meet her and discuss wholefood living while enjoying great food. Food lovers also have the chance to learn from Jude’s extensive experience in a special cooking class held at the Maroochy Neighbourhood Centre over 23 and 24 July. For more information about Jude Blereau and these events, or to book, visit www.wholefoodcooking.com.au.